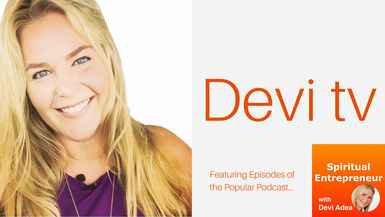 In this episode, Devi chats with Mari Smith about Facebook Marketing Success Strategy. Mari often referred to as “the Queen of Facebook,” is considered one of the world’s foremost experts on Facebook marketing and social media. This episode is one that you will want to listen to over and over again. It is chock full of great tips to help you to grow your business and reach, through Facebook marketing. Often referred to as “the Queen of Facebook,” Mari Smith is considered one of the world’s foremost experts on Facebook marketing and social media. She is a Forbes’ Top Social Media Power Influencer, author of The New Relationship Marketing and coauthor of Facebook Marketing: An Hour A Day. Forbes recently described Mari as, “Probably the preeminent Facebook expert. Even Facebook asks for her help.” She is a recognized Facebook Partner; Facebook headhunted and hired Mari to lead the Boost Your Business series of live events across the US. Mari is an in-demand speaker and travels the world to keynote and train at major events. Her digital marketing agency provides professional speaking, training and consulting services on Facebook and Instagram marketing best practices for Fortune 500 companies, brands, SMBs and direct sales organizations. Mari is also an expert webinar and live video broadcast host, and she serves as Brand Ambassador for numerous leading global companies.